Garbage that would normally be collected on Monday, 12 November will be collected on Saturday, 10 November. 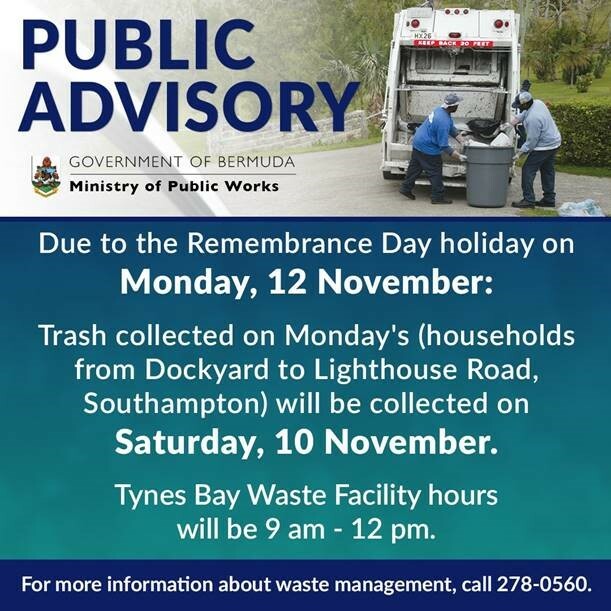 Public drop-off hours for the Tynes Bay Waste Facility will be 9am to 12pm on Monday, 12 November. The public holiday waste collection schedule is posted on www.gov.bm/garbage-and-recycling. 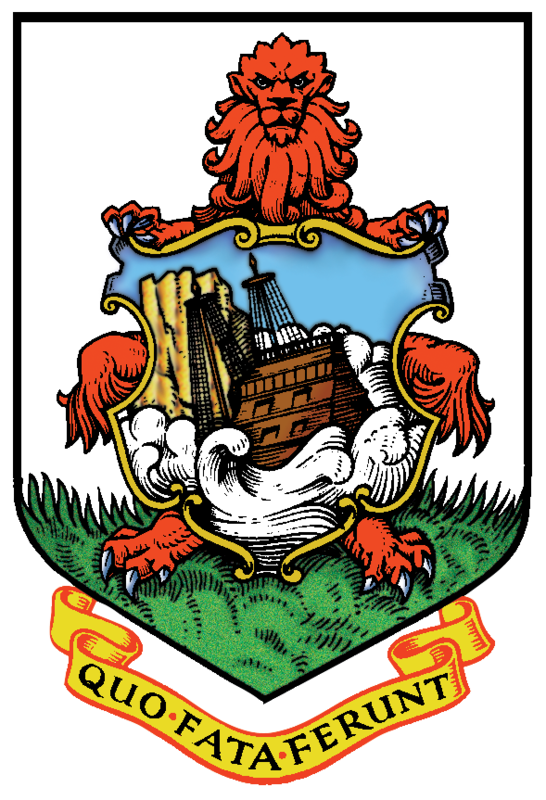 For more information about waste management, please visit www.facebook.com/recyclebermuda or call 278-0560.